Welcome to the Beautiful Mississippi Gulf Coast! 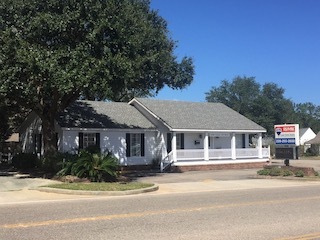 Take a tour of local property for sale, relax on our gorgeous beaches, dine in one of our many locally owned restaurants, cruise our many scenic byways, or catch a nap on one of our unique golf courses, there's something for everyone! At RE/MAX Coast Delta Realty, you're family. We enjoy seeing your dreams come true. Stop in for your personalized service. With over 34 years in Mississippi Real Estate, we have established a diverse group of Award Winning Agents eager to assist you with all of your real estate needs. Our professionals are dedicated to making your future our top priority. Whether you're a first time home buyer or a skilled investor, we have the talent to help you. We're located off Exit 16 in Diamondhead and our team is positioned to cover all of the Mississippi Gulf Coast! Call us at 228.255.2600 when you're ready to buy, sell, or lease! Keep up with local Mississippi Gulf Coast property statistics! Find your perfect Mississippi Gulf Coast property here! Contact one of our award winning agents! Re/Max Coast Delta Realty is the best! They are a pleasure to work with. We have used Coast Delta Realty to both buy and sell our properties for over 10 years and have always been pleased with the service they provide. I highly recommend that you give them a call when you are looking to buy or sell!